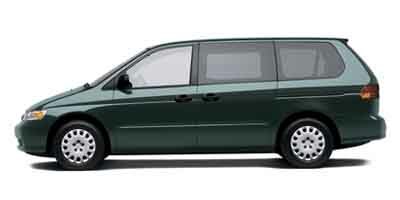 Find the latest 2003 Honda Odyssey recalls as issued by the National Highway Traffic Safety Administration (NHTSA) and Manufacturers. Consequence Removal of the ignition key when the gear selector of a vehicle with an automatic transmission has not been shifted to the park position can allow the vehicle to roll away, increasing the risk of a crash. Notes Honda's recall campaign numbers are S73 and S74. Owners may also contact the National Highway Traffic Safety Administration Vehicle Safety Hotline at 1-888-327-4236 (TTY 1-800-424-9153), or go to www.safercar.gov. Remedy Dealers will inspect the fuel tank for surface imperfections. If any imperfections are found, the fuel tank will be replaced. The manufacturer has reported that owner notification was expected to begin during February 2003. Owners may contact Honda at 1-800-999-1009. Remedy Honda will notify owners and instruct them to take their vehicle to a Honda or Acura dealer. The dealer will install an updated shift interlock lever and, if necessary, replace any necessary part of the ignition switch, free of charge. The recall began on February 22, 2013. Owners may contact Honda at 1-800-999-1009. Remedy On vehicles with 15,000 miles or less, the dealer will update the transmission with a simple revision to the oil cooler return line to increase lubrication to the second gear. On vehicles with more than 15,000 miles, the dealer will inspect the transmission to identify gears that have already experienced discoloration due to overheating. If discoloration exists, the transmission will be replaced. If discoloration is not present, the dealer will install the change to the oil cooler return line. The manufacturer has reported that owner notification began on May 12, 2004. Owners may contact Honda at 1-800-999-1009 or Acura at 1-800-382-2238. Summary Honda is recalling certain model year 2003 and 2004 Pilot and Odyssey and 2003 through 2006 Acura MDX passenger vehicles manufactured from November 26, 2001, through August 30, 2006. The interlock lever of the ignition switch may deform, which can allow the interlock function of a vehicle with an automatic transmission to be defeated. Summary On some minivans and sport utility vehicles, certain operating conditions can result in heat build-up between the countershaft and secondary shaft second gears in the automatic transmission, eventually leading to gear tooth chipping or gear breakage. Gear failure could result in transmission lockup, increasing the risk of a crash. Summary Some fuel tanks have surface imperfections that could allow fuel to leak from the tank. Fuel leakage, in the presence of an ignition source, could result in a fire.